Streaming videos through Vimeo is very easy, even novice users wouldn’t find it hard to watch contents. You can view clips using your computer, internet capable gadgets and smartphones. Amongst all devices, using Android smartphones to watch videos on Vimeo is the most popular because they offer best convenience and portability. Moreover, you can use Vimeo downloader Android applications to save contents directly on your phone. In this case, you don’t need to connect to the internet all the time just to watch contents letting you save big time on mobile data plans. Other benefits of saving videos on your smartphone include but not limited to easy offline viewing, sharing with friends, safe keeping as part of collection, transferring on digital storage, etc. Indeed, it is better off to download online clips rather than stream them online. With the help of Android downloading applications, it is now easy to save videos on your smartphone. Know more about it by reading below. You can seldom find an easy application that can efficiently download online videos straight on your device, and this is what you can have best with Video Grabber. 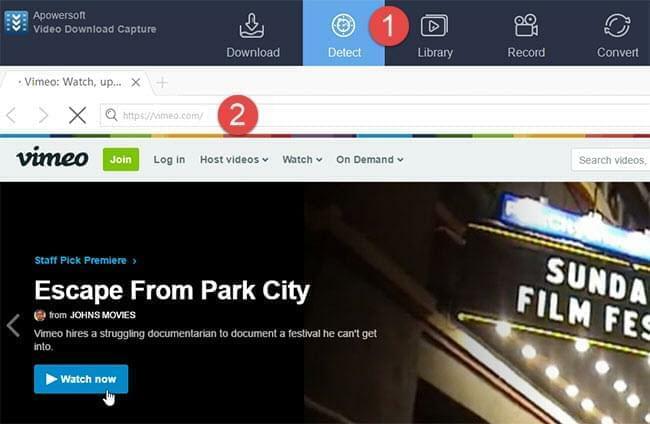 This tool endows you with the ability to download any videos playing on Vimeo as well as to other streaming sites such as YouTube, Dailymotion, Vevo, Vube, and more. Besides, it offers multiple formats for the video, such as WEBM, MP4, etc. Depending on your desires, you can choose whatever quality per your need. It is really easy to use this application, there are no technical skills nor in-depth android knowledge involved. You just need to follow the step below. Copy and paste the video URL on address blank. Click “Download” button and then choose preferred format on pop-up dialogue. There’s one thing that you should notice, the webpage will guide you download and install a component called Launcher which makes downloading process more stable and quicker. Don’t be worried, this component is totally safe and small that won’t take too much space. When the video has been successfully downloaded to your computer, you need to export it to your Android device. There’s a free app called AirMore that features great performance in transferring data between PC and mobile. To use this app, you need to click the button below to download and install AirMore on your mobile in advance. Go to the site of web.airmore.com on your browser. Next, open AirMore app and then scan the QR code to connect the mobile and PC. Click “Import” > “Import Files” to browse local video and then export it to Android. Another free Android Vimeo downloader is Video Download Capture. This program allows you to download video from most of video hosting sites including YouTube, Vimeo, Dailymotion, and many more. Plus, it comes with two downloading modes – URL pasting and video detecting. The former just need you to copy video URL and click “Paste URL” button. As for the latter one, the program will detect and download video automatically when you watch the video. Check the instructions below to learn how to use it. Download and install Video Download Capture on your PC by clicking the button below. Launch the program and then go to “Detect” tab. Navigate to Vimeo and then play the video with built-in browser. The program will start downloading automatically soon. 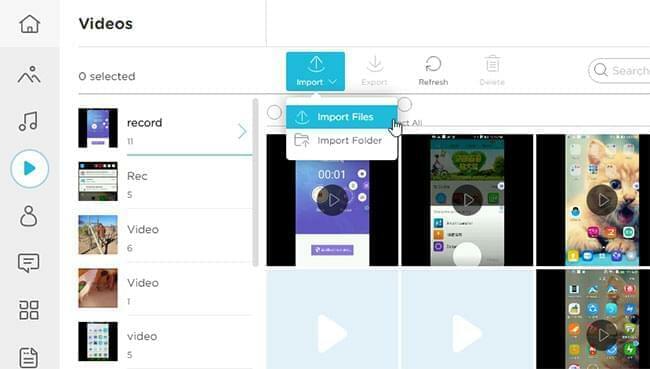 In addition, this Vimeo downloader Android can also help you export video to portable devices without any hassles. Firstly, connect Android device to PC via USB cable. And then go to the tab of “Completed” and then right click the item that you wish to export. Next, click “Add to” > “Add to mobile”. Clear enough, the second method is more powerful because it can perform bulk downloading. Meanwhile, it also provides additional functions like video converting, editing and recording. If you are not a big fan of saving videos on your smartphone or you can afford the connection to internet, you can install the native app of Vimeo instead of using Vimeo downloader for Android. With Vimeo’s Android app, you can watch and manage all Vimeo videos, upload HD clips directly from your phone, edit video titles, add clip descriptions, share contents on social networking sites, add videos on your groups or channels, etc. To download Vimeo for Android, head on to Google Play Store and simply search for Vimeo. This app requires Android versions running 2.3.3 and comes 100% free with frequent updates from the developers.